If there’s one problem that’s plaguing Americans all over, it is losing weight and keeping it off. It is no secret that Americans consume the world’s most fattening and unhealthy diet. We are obviously paying for this with the rising number of deaths from diabetes, cardiac arrests, as well as a terrifying number of obese children who are acquiring these disease at a very early age. Fortunately, this is alarming more and more people nowadays and steps have been taken to provide Americans help in terms of weight loss and maintaining good health. If you are one of the millions who are worried about an early death because of the excess pounds, you are most likely consulting your physician on how to get started on a weight loss program. Good for you, and here’s hoping that you stick with your regimen for life for the sake of your family and children. Here are some weight loss tips that will hopefully change your life for the better. The desire to lose weight and keep it off lies solely on you. It doesn’t matter how many weight loss supplements you consume or the hours you spend in the gym with a trainer, if you are not serious with this plan or if you are just persuaded by family and friends, then consider this a failed plan. When you encounter difficulties or when you cannot resist temptation, you will simply blame other people because they put you through this. A weight loss regimen is absolutely not a walk in the park, and will entail a lot of frustration and even pain on your part in order to reach your desired weight. At the onset, make the decision to lose weight and commit to it, blaming nobody if you do not see results right away or if you feel a lot of pain and cannot carry on. The rewards at the end will be sweet and all the pain will all be worth it. Do not starve yourself to death. For one, you can contract ulcer and may experience complications if you attempt to starve yourself again in the future. The pain and medical expenses are not worth it anytime. The key to weight loss is to eat small meals throughout the day so you won’t feel hungry. If you are used to eating three fairly large meals a day, half each one and eat every three hours or so. Choose to binge on healthier stuff like fruits and vegetables, and switch to high fiber options to fill you up right away and keep the hunger pangs at bay longer. Once in a while, declare a cheat day and enjoy an acceptable serving of whatever you’re craving, as a reward for all the hard work the past few days or so. I find that this helps me stay on my weight loss regimen longer because I don’t feel deprived and depressed, like a prisoner in a concentration camp that has no hope for freedom. Remember that negative feelings can make you cheat or altogether give up on your pursuit for weight loss, and you certainly don’t want that to happen. Engage in a weight loss program with other people. A support group is always helpful to someone who is trying hard to achieve a certain goal. Be it from family members or friends, the encouragement you get is very valuable especially in times of difficulty and pain. Communicate with them your frustrations, feelings and aspirations and they will surely understand. Working out with a buddy can definitely motivate you to reach or even exceed your limits in terms of physical activity. When you do eat out, you will not feel singled out and you can share your healthy meal with somebody with the same goal as yours. Nancy Hardy finds refuge in her gym buddies who motivates her into achieving her desired weight. She enjoys hip hop dancing with them. 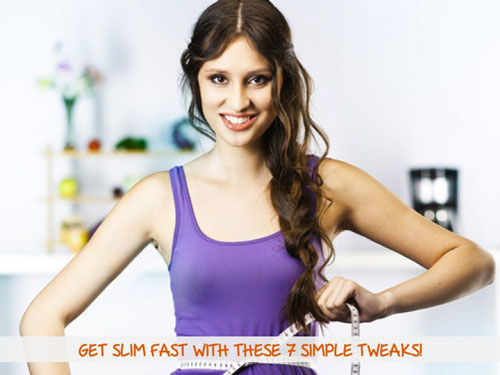 She usually writes on her site about her experience and tips to get your desired weight easily.